This wallet has three functions in one. 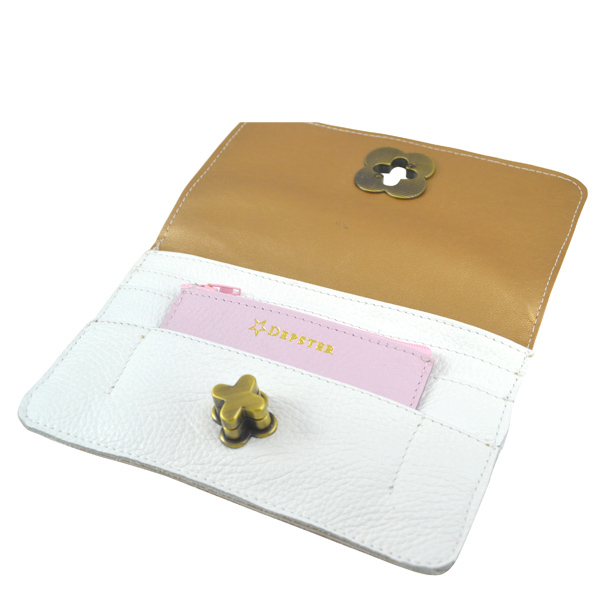 Besides being ‘just’ your wallet, you may also use it as a clutch or take the little wallet with you in your smaller bag or clutch. 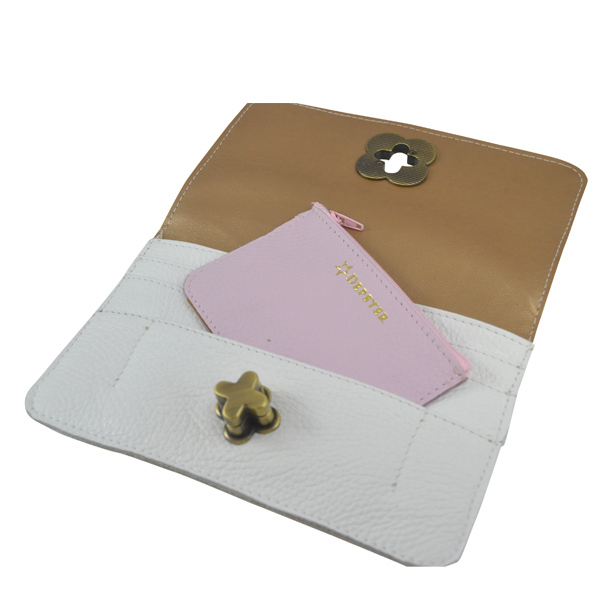 Contains one large pocket big enough to hold paper money, passport and phone, six card pockets and a separate coin wallet. Available in any color combination. 4 – Let us know if you want us to send you samples first.